Jeep Cherokee Forum > Technical Discussion > Fabrication & builders section. 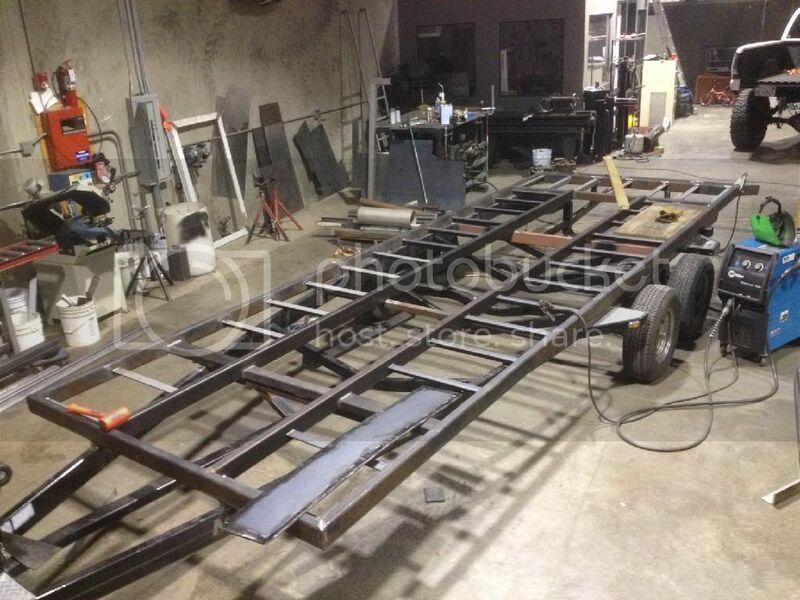 Fabrication & builders section. 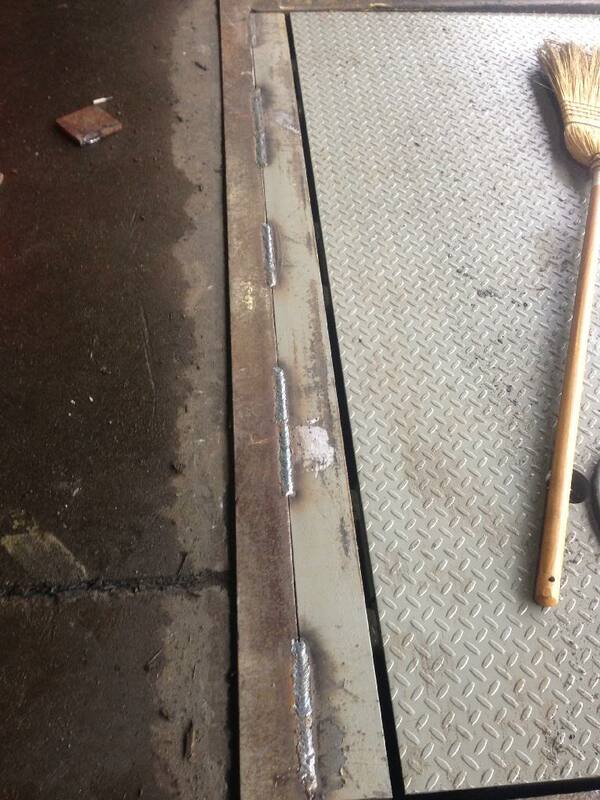 All fabrication posts go here. XJ/MJ/ZJ/WJ Only projects go here. Questions belong in modified tech. 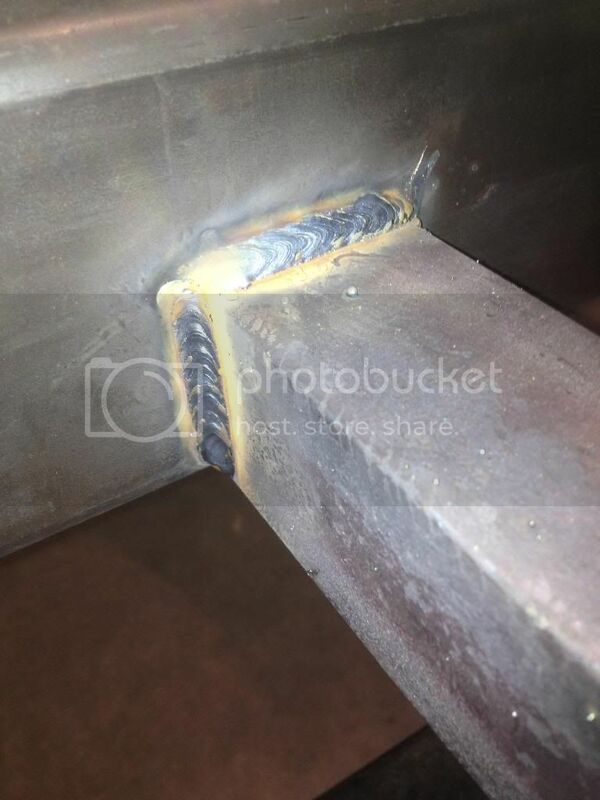 Hey guys I looked thru the last few pages and didn't find a welding thread so I thought I would start one. 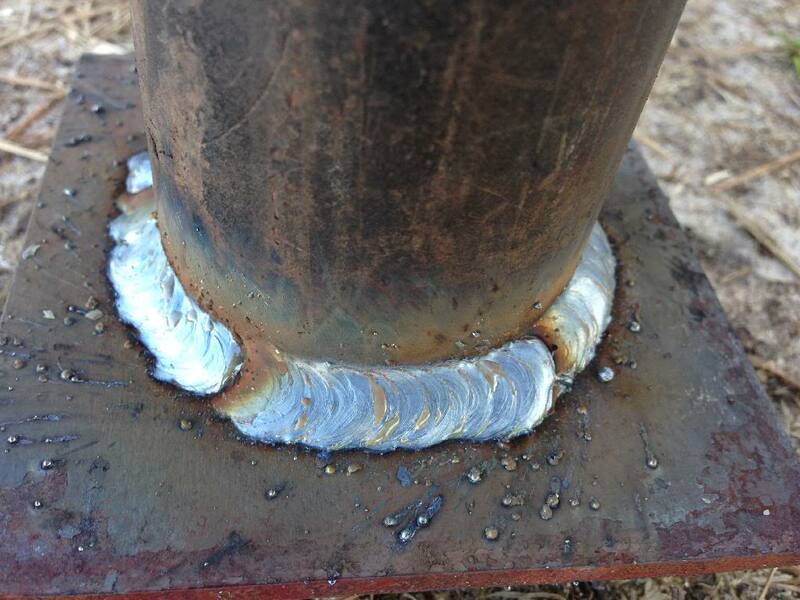 Basically just for showing off some welding skills or looking for tips. I will start with a few pics. 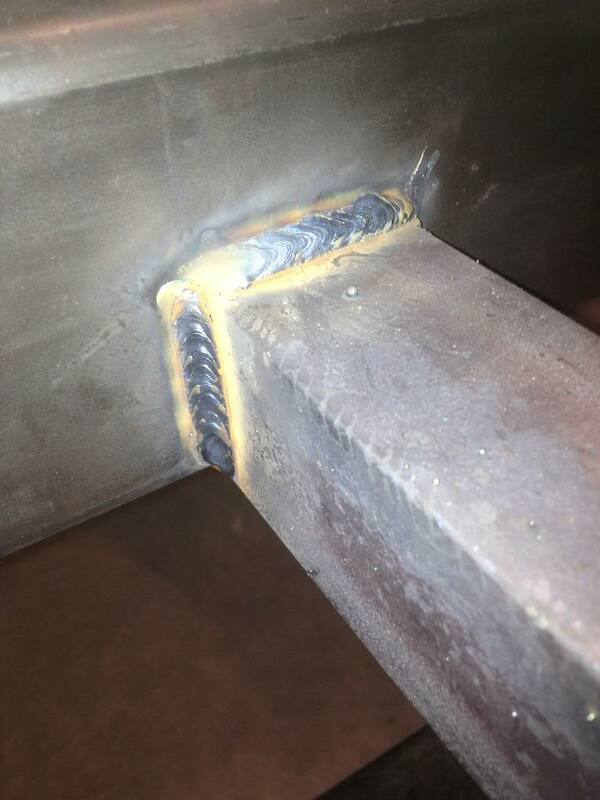 I am new to heavy gauge GMAW, been doing body work and sheet metal most of my life. Got a 75/25 cylinder for my personal Hobart rig today. Here is a test piece I was fooling around with today. Any pros have tips let me know. So far I can tell I need more overlap on my stop/starts. Last edited by Jake. ; 01-03-2014 at 08:00 PM. 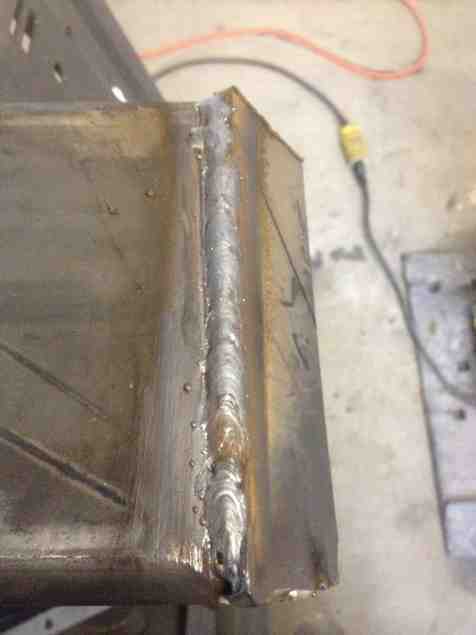 God I need a good machine, my welds would look unlimited better. Here is my junk from a HF machine. Before the scale was removed since that was when my die grinder took a crap. 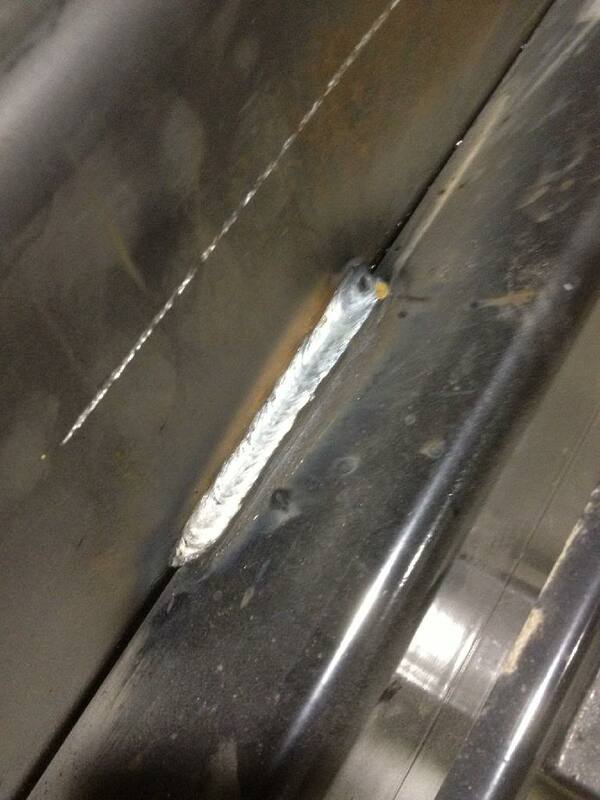 My welds haven't fallen apart yet lol. Anyone running 90/10 instead of 75/25? Gas place refilled my friends bottle with that last time and seems to work a little better as a shield. Last edited by Jake. ; 01-03-2014 at 08:10 PM. Hmmm. Food for thought. I really need to get a Hobart or Craftsman. I've got everything else other than the machine. I'll probably go Hobart 140. That's what I have at my home shop. Hobart handler 140 mig 115v, 75/25 .030 hobart solid wire. If I need to weld anything thicker I have the miller stick at work. My grandpa has a stick, but that'll be my set up too. Miller mig is what I'd get. The harbor fugitive migs aren't bad once you figure them out. 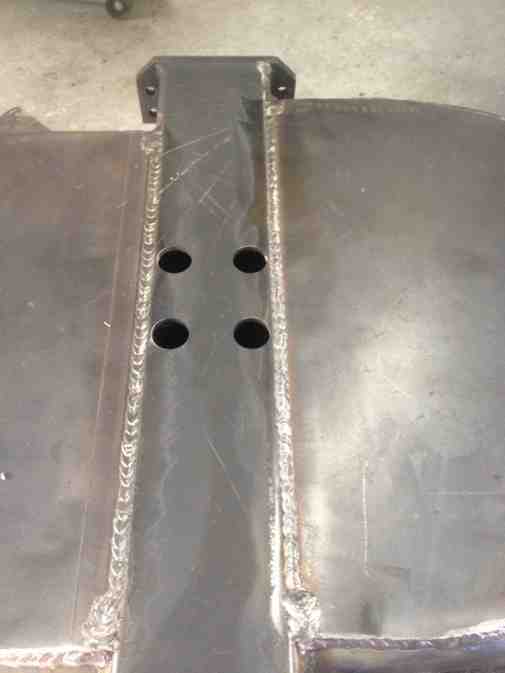 I welded this entire rear bumper with a Lincoln 225 AC arc welder when I was 18 in high school. Cut it all with a oxy/acetylene torch too. Now that I think about it, the external welds around the receiver tube were with a miller mig at school. I found I prefer 6013's over 6011's on that project. The headache rack I made with a 90A Craftsman mig (flux core). Torch and cutoff saw when I was 19. If you go to F150 forum and search zap, you can see the build progress of both those. This last summer I built this spare tire carrier with my dad. 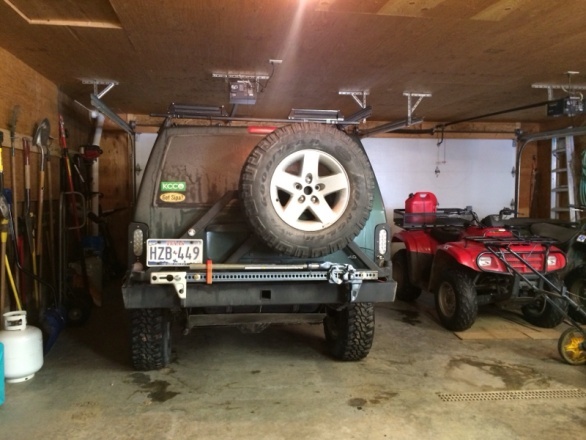 I did all the welding and designing (more specifically modifying the JCR rear bumper). He got handy with the cutoff saw. Built with a harbor fugitive special. Last edited by xjzaped; 01-03-2014 at 08:48 PM. Can we make this a sticky? 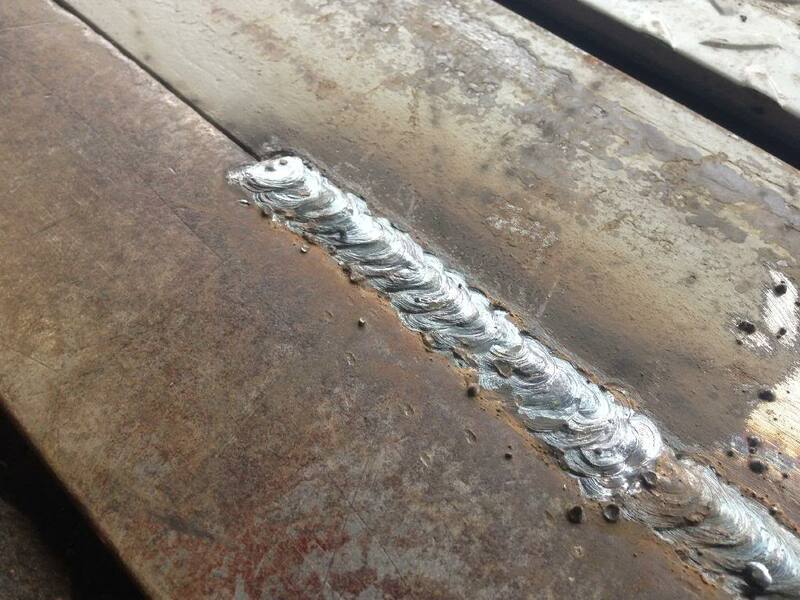 I work at a welding gas supplier, just for reference 100% argon is used for aluminum MIG welding. You'll get quite a bit less penetration trying to run 100% argon as opposed to a dual mix, not to mention waste money (argon is expensive). Anyways, I'm not totally sure on the resulting weld difference between 90/10 and 75/25 mixes, however the 75/25 is the most common seller by a long shot.